Nikon's R1 wireless macro flash has been a popular item since it was introduced. The only issue with the R1 has to do with the mounting ring - it is quite large and places the flash heads too far from the lens for buccal and occlusal mirror shots and posterior views. 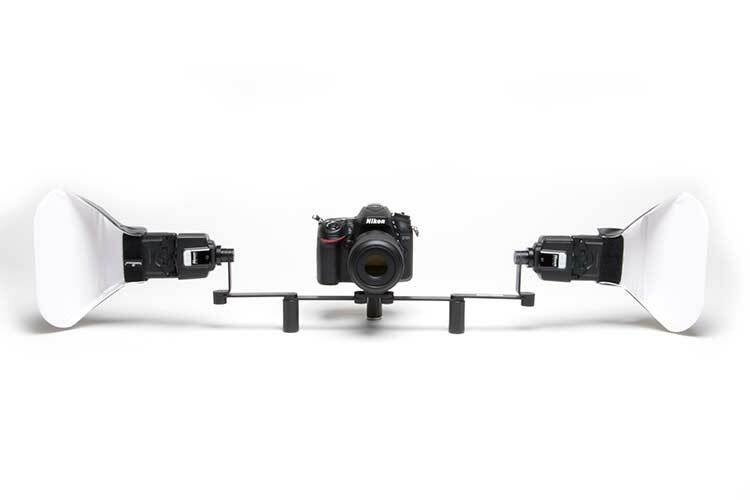 Canon's MT-24EX Dual Point Flash is limited by the mounting that Canon includes in the package - it positions the flash heads very close to the lens without an option to move them away. The R2 Dual Point Flash Bracket solves both of the issues by allowing you to position the flash heads on either side of the lens for intraoral views or separate them by as much as 22 inches for anterior esthetic views and lab communication. 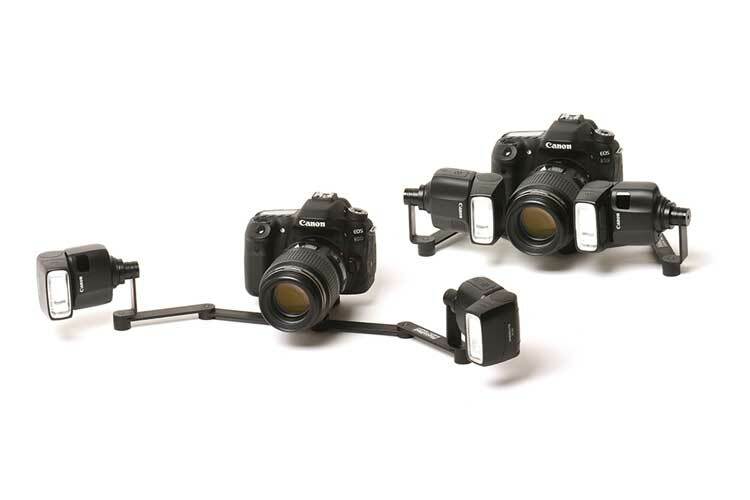 The R2 Bracket is available in two different flash mounts: Nikon (R2-N) and Universal (R2-U). 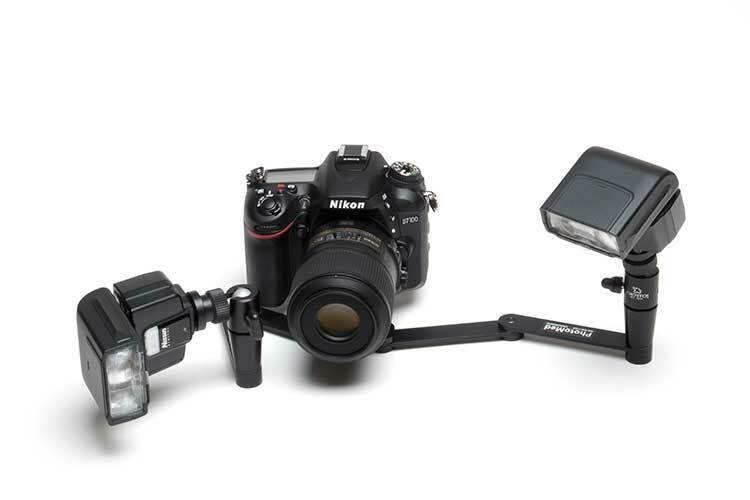 The Nikon version features a flash mount that is specifically for the Nikon SB-R200. The Nikon version is also used for the Meike MK-MT24 macro flashes. 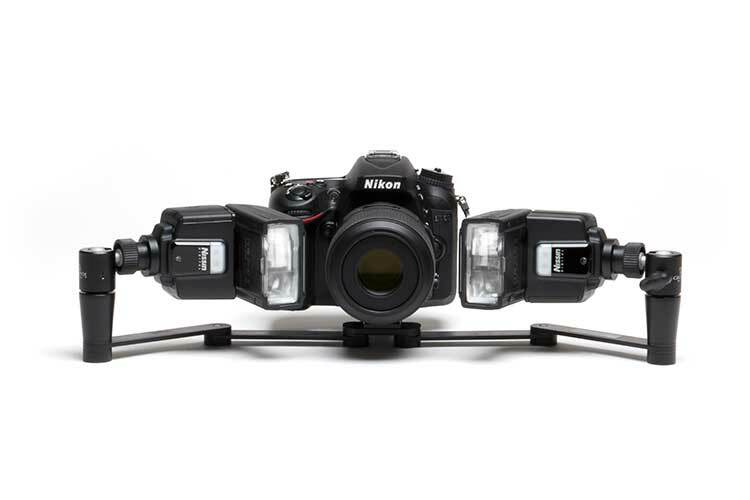 The Meike system uses the same flash mount as the Nikon SB-R200. These are the only flashes that can attach to this R2-N bracket. The Universal version has a standard flash mount that accepts all flashes that have a standard hot shoe mount. 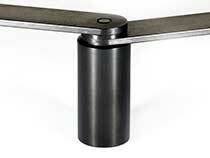 The original R2 Bracket - Each arm of the bracket has two sections with tension hinges in between and at both ends. Separate the flashes up to 22 inches apart or bring the flashes in close to the lens. The R2 - Wide Bracket - Each arm of the bracket has three sections with tension hinges in between each arm and at both ends. Separate the flashes up to 29 inches apart or bring the flashes in close to the lens. 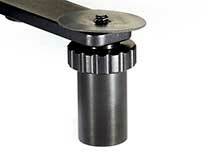 The R2 - Ballhead Bracket - Each arm of the bracket has two sections with tension hinges in between and at both ends. The flash heads sit on ball heads which add vertical flash positioning (see animated image below). 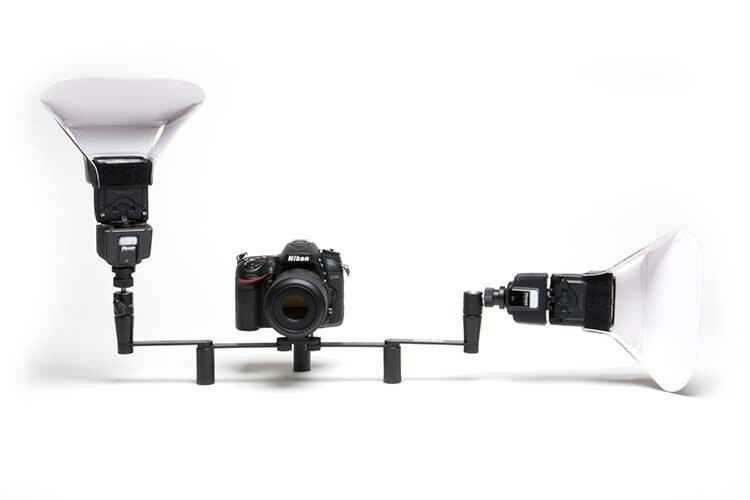 Separate the flashes up to 24 inches apart or bring the flashes in close to the lens. 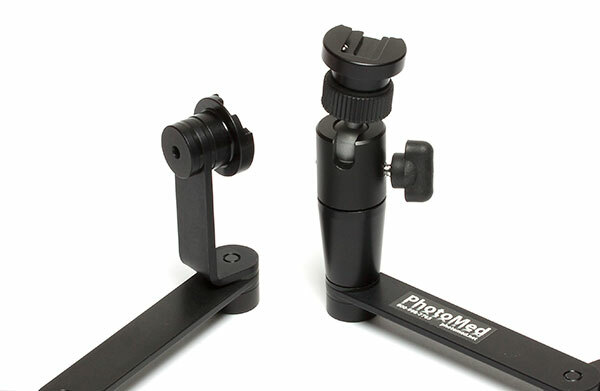 The photo below shows the difference between the flash mounts - Original and Wide on the left - Ballhead on the right. This video (courtesy of our Japanese distributor, AG Pac Inc.) illustrates the flexibility of the R2 Brackets. Thanks to Junji Toyoshima from AG Pac Inc. for this video. The Nikon SB-R200 wireless flash was designed as a macro flash. It was originally introduced as part of the R1 and R1C1 macro flash packages. 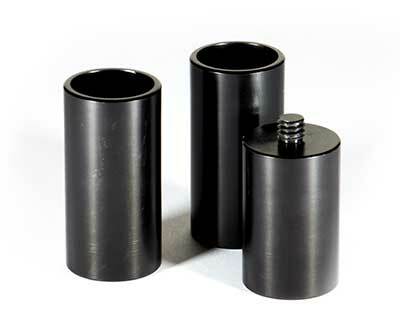 It is also available individually for use with the R2 bracket. 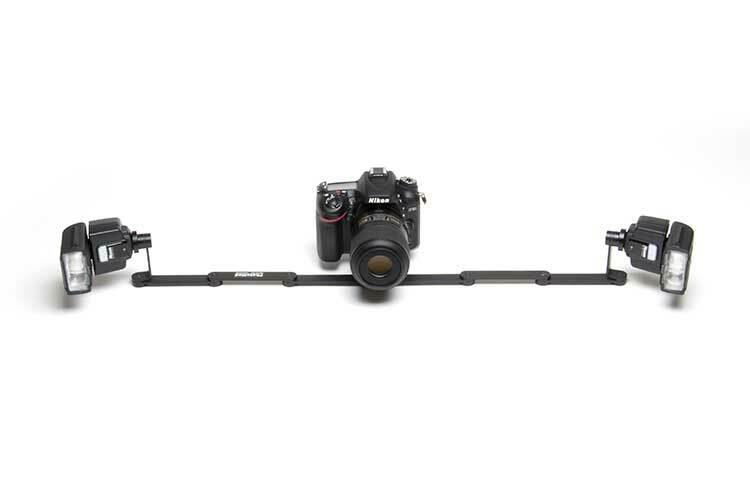 The SB-R200 works with the D810, D800/D800E, D750, D700, D610, D600, D500, D7200, D7100, D7000, D300/D300s, D200, D90, D80 and D70/D70s cameras which have a built-in wireless flash transmitter and can control the macro flash heads wirelessly. 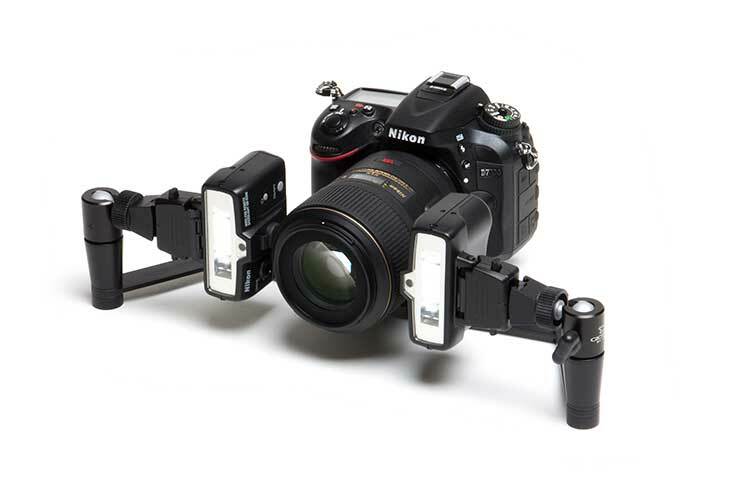 The Nissin i40 is the latest small, wireless flash that can be used on the R2 bracket. It is available in Canon and Nikon versions and can be used with cameras that have wireless flash capability (either built-in or with external transmitters). come in contact with the table surface. 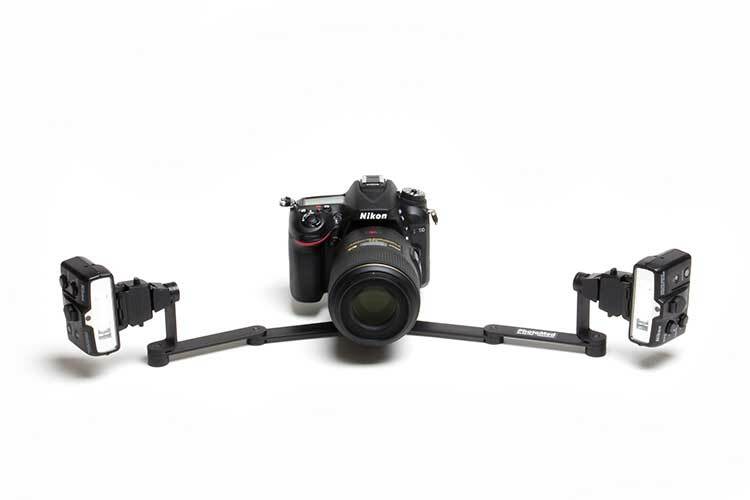 The Riser set includes a threaded riser that screws into the bracket tripod screw and two risers that attach to the hinge screws. LumiQuest Pocket Bouncers are popular accessories for the dual point flash systems on R2 brackets. The Pocket Bouncer redirects light at a 90° angle from the flash to soften the quality of the light by enlarging the light roughly 6-8 times over the size of the flash head itself. The Pocket Bouncers include velcro tape that you adhere to the flash. This makes it easy to attach and/or remove the Pocket Bouncer from the flash. LumiQuest also offers theUltraStrap - a velcro strap with rubber on one side that wraps around the front of the flash and does away with the velcro tape. The Ultrapstrap offers a more secure way to attach the Pocket Bouncers to the flash and will not damage the surface of the flash. This item is highly recommended if you are using the Pocket Bouncers. 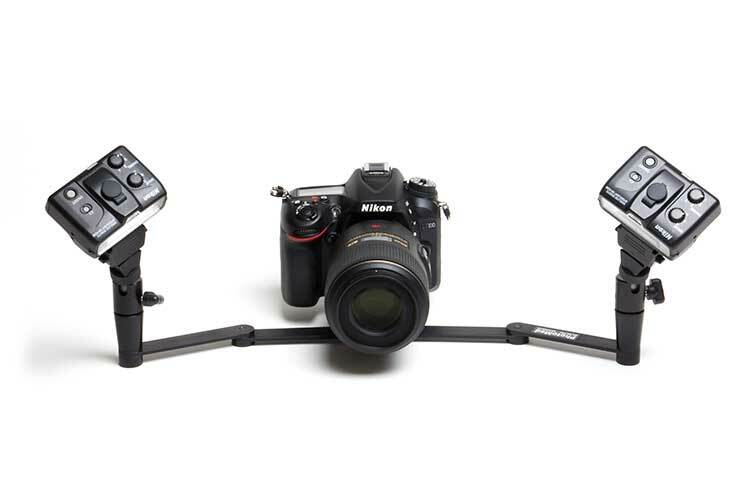 The UltraStrap and Pocket Bouncers work with Nikon SB-R200 flashes, Canon 270EX II flashes and Canon EL-100 flashes. 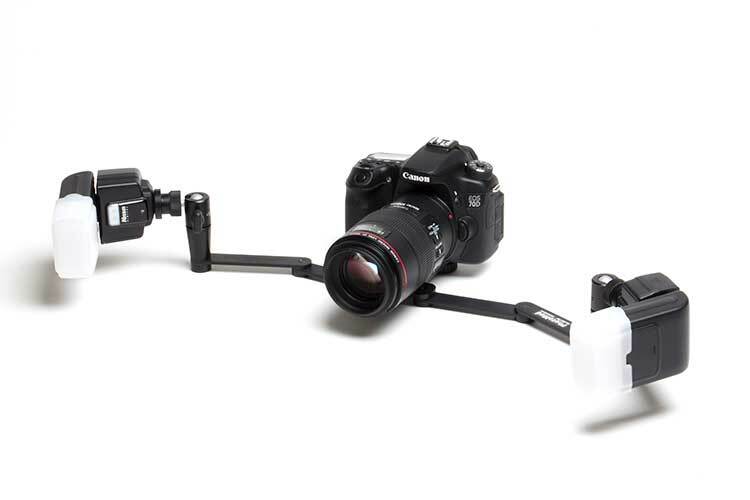 They also work with the Canon MT-24EX dual point flash but only with the R2 Bracket - they will not work with the Canon lens mount that is included with the MT-24EX because the Canon mount does not allow the flash heads to turn back far enough to shoot out to the side.